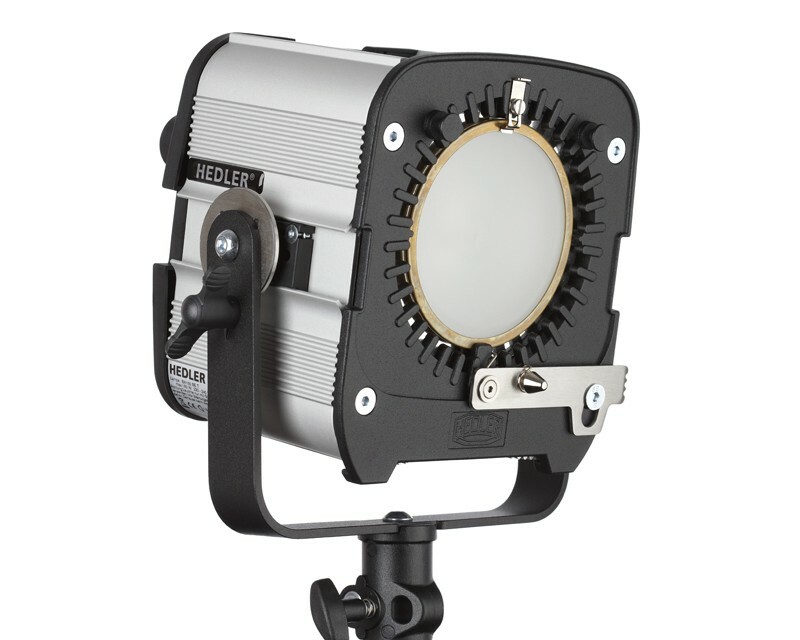 This brand-new, continuous HMI daylight Fresnel Spotlight is unique: It incorporates the light source and the ballast in the same housing! 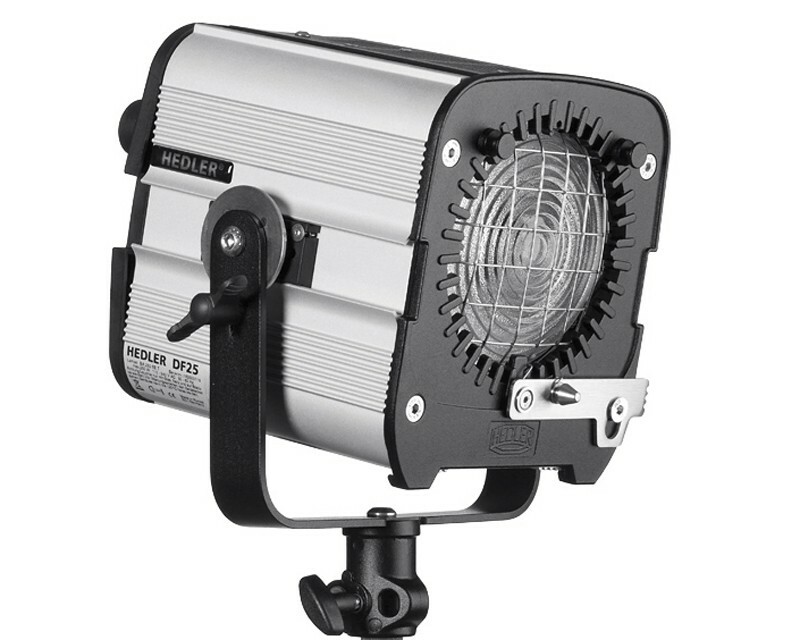 This reduces weight and eliminates extra cables, providing the neatest HMI unit on the market. 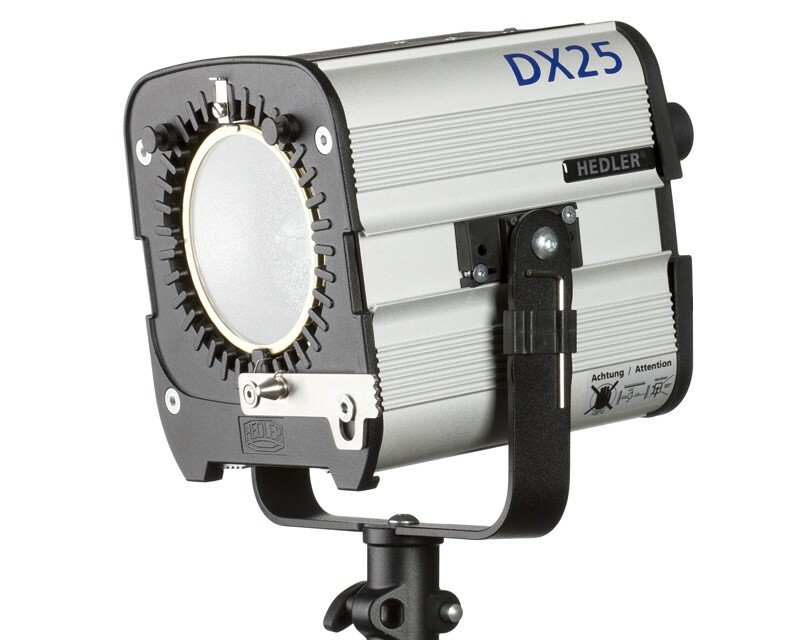 The HEDLER DF15 does not need a fan for cooling, which makes it ideal for sound recordings. 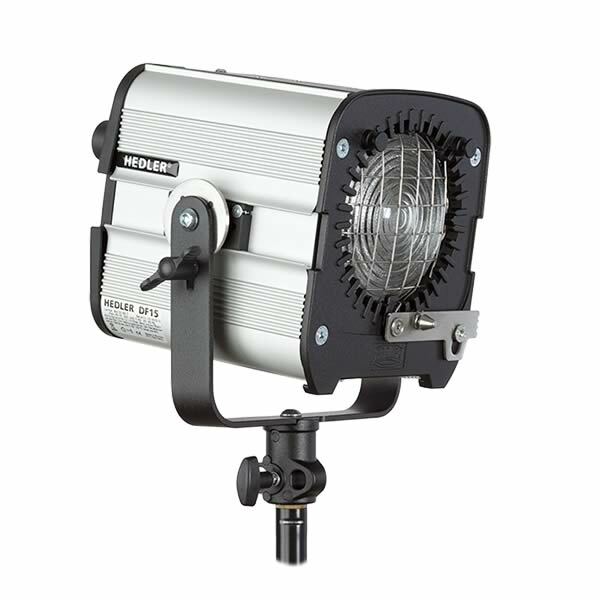 Using a special 150 W/SE Metal-Halogen lamp it produces a flicker-free light of approx. 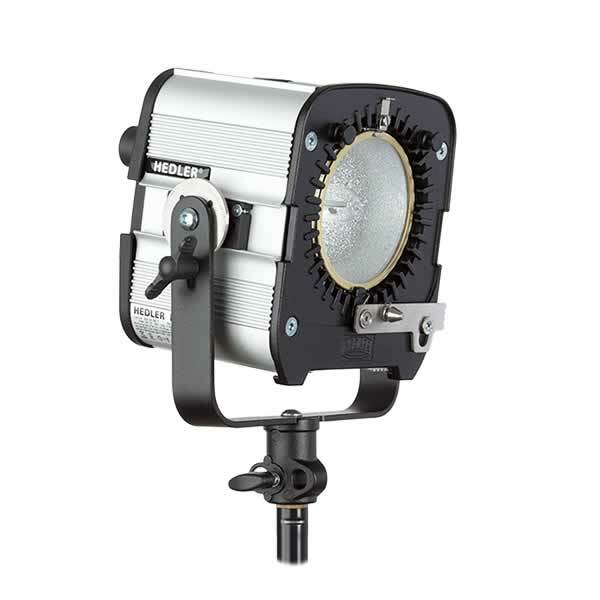 5800 Kelvin colour temperature.